With ever-changing algorithmic setup SEO still revolves as a mystery around the web world and experts are still framing assumptions to get close to it. SEO has undergone several transformations since its inception, and it is no more a single man game. Lots of technology disruptions were happening around SEO in the recent past, and these technologies will play the most crucial role in SEO deployment in future. Companies who opt out for technology embedded SEO services would sustain in this competitive digital world and can easily conquer their target audience without getting affected by SEO and digital marketing evolution. Here are some technological disruptions and SEO trends that would certainly create a huge wave amongst industries in adopting the constantly trnasforming SEO. 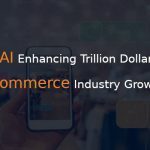 You might wonder how SEO and blockchain would get combine and deliver better results for the company and the end user. The fact it’s going to happen sooner, still this two bi-polar contributors of business upliftments won’t undergo direct interaction, instead, they play a key role in helping each other indirectly. How exactly Blockchain helps SEO? When a company implements blockchain into its website the concerned developer, and SEO specialist must collaboratively work with it, here the blockchain technology implemented in a website will deny fraudulence PPC ads and display the genuine ones, which certainly helps the company to spend wisely and to spend on refrained SEO agencies in Chennai, India. Here the blockchain can also eliminate the central authority ownership played by search engines like Google which helps the companies and advertisers to communicate and interact directly regarding online promotion. A blockchain integrated browser can easily autoscan the trustability of a product or service which is portrayed by any company, hence giving no room for falsely product to get displayed. 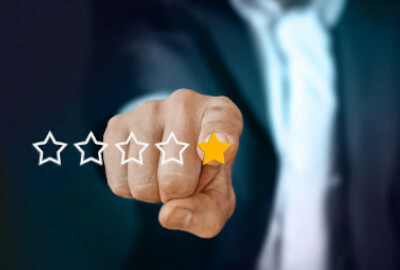 Acquiring a service or buying an expensive product via online is highly based on the customer review which plays a pivotal role here, reviews and ratings highly influence decision-making attribute of the new customer which mostly leads to dissatisfaction. Blockchain enabled SEO tactics will help the user to analyse the hidden agenda behind every review and assists them in making wise decisions. We offer future-focused SEO services in Chennai, India that enhances companies credibilities and satisfies user expectations with the change in transformation. CISCO reveals that 80% of customer traffic to any product or service site would be based on the video content displayed in the site. According to the survey done by Hubspot in the developed nations, industrial experts feel that video-based content are grasping more customers towards their service. Marketing your products or services through online video content is found to be the coolest approach and inducing trend of SEO. Having at least a single related video will ease up your thirst to get more traffic and registers progress in the search engine as well. We are a lucrative team of SEO experts in Chennai, India who delivers the most exclusive set of SEO service to our clients using video content. Practising continuous updation in formulating its search algorithm, Google has always been in the top-gear amongst the search browsers and highly prefered search destination for both the service provider and user. Being a part of its another tech-leap Google has already introduced Ai-embedded search brain which comes out with even more smart ways to rank companies in its web page. Google’s approach to AI search brain is a mere happening future that would be a mandatorily considerable factor for websites after mobile-friendly and speed optimised features. Being the top-notch SEO company in Chennai, India we always stay ahead of the search engine curve to deliver future-focused solutions to our clients. Stats provided from Alpine.ai company shows that around 1 billion voice search would take place globally in 2020. 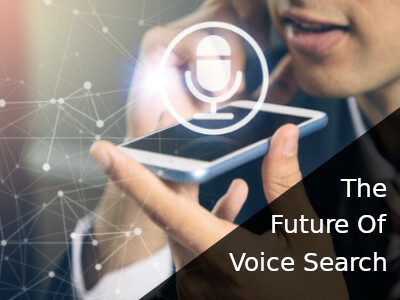 Another company named comScore, agreed with Alpine depicted that 50% of the global search will come from voice enabled search in 2020. Today 19% of global population uses Siri to buy products that is 2/5th of the world. Currently 55% of teens and 44% of adults are using voice search at this point of time. Google has also mentioned that 20% of the search result comes through voice. All these statistics signal us one thing, that voice search will be the dominant factor of future SEO and one needs to approach the expert SEO agency to get the best voice search platform implanted into their website. Between 2015-2018 the importance of mobile based website has jumped from 35.8% to 50.2% globally. Statista states that around 52.2% of a website’s traffic is generated through mobile devices. After a careful research for 1.5 years, Google announced that it will give top priority to websites which are maintaining a good mobile-responsiveness in their ranking factor. Mobile-responsive websites are gaining high credibility and great acceptance amongst the end-user, and its necessity gets increased every year. A business having the best mobile responsive website would certainly dominate the web space and ranks no.1 in Google for sure. Speed optimisation is another crucial ranking factor that drives or decimates the traffic towards the websites. Today’s customers have zero-tolerance towards slow loading website, and they don’t give a second thought to exit it at any cost. Being the most experienced SEO service provider in Chennai, India we deploy some mandatory tasks to stimulate the speed of a website. Adopting to Google’s transformation is similar to adopting your target user transformation, today users prefer long-tail keywords which are more of conversational type rather than being a stuffed pack that doesn’t suit with the flow of the content. Embracing high-end SEO services would deliver you the desired benefit here. Since content overloading has surpassed its alarming status, it is high time for the prime search engine to be smart and display the relevant and best content in the top of a search. Google snippets are the recent arrivals which display the exact content for a user, optimising keywords and other search terms are a part of exquisite SEO services in Chennai, India which would boost the position of a company in Google’s first-page search. A business can follow any number of strategies to portray its uniqueness and stand ahead of the competition, adopting infographic display method is one such kind the retains the attention of a user for a longer period and helps in conversion. These pictorial data representations are mind grasping and attention driving factors that adds value to a website if used in the right spot. To impress Google and stay top of the order one can follow multiple strategies and publishing articles in Google news is one of its kind. Unless and until you were a thought leader, you cannot use this option where it demands a highly unique and fresh content that would be certainly useful to your industry. The technical SEO plays the most promising role in enhancing the overall SEO drift for a website which includes several practices like website optimisation. Approaching a proper technical SEO service in Chennai, India is mandatory for any business to initiate its journey in the World Wide Web.